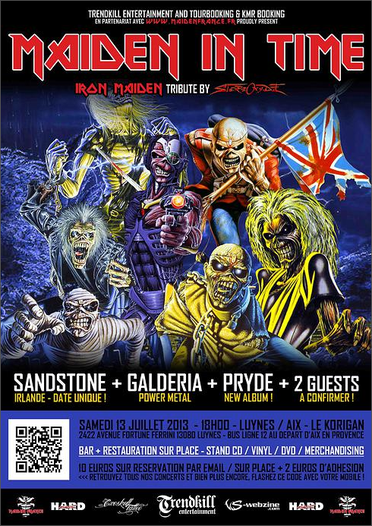 MAIDEN FRANCE presents MAIDEN IN TIME concert, tributes to IRON MAIDEN by STEREOXYDE, will take place at Le Korigan (France) on July 13th. SANDSTONE, GALDERIA, PRYDE and more also will perform there. Visit Le Korigan to get more infos.